Secondary trademark liability: Third party counterfeiting as proof of knowledge? QUERY: Are sales of counterfeit products other than those of the plaintiff valid proof of a defendant’s “knowledge” in a contributory trademark infringement case? That question typically arises in the flea-market cases (both virtual and brick-and-mortar) where the direct infringers are vendors with a history of “serial counterfeiting” and the plaintiff sues the landlord or online marketplace operator for contributory infringement. The argument is that the defendant knew or should have known he was facilitating infringement of the plaintiff’s mark based on that history. As we discuss in this year’s Supplement, the courts have signaled their willingness, at least at the pleadings stage, to consider such evidence. But proof of well-known, widespread counterfeiting is precisely the type of evidence found insufficient in the lead case of Tiffany v. eBay (Tiffany). 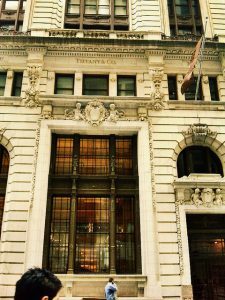 Tiffany set the modern standard for determining whether a defendant has the requisite knowledge of direct infringement to find contributory liability. (An in-depth discussion of Tiffany appears here and in the Main Volume, Chapter 3) Such “generalized notice of infringement,” the court held in Tiffany, did not satisfy the actual or constructive knowledge element of contributory liability. To hold a defendant liable for contributory trademark infringement, a plaintiff must prove that it knew or had reason to know of specific acts of infringement of the plaintiff’s mark. Generalized knowledge of infringement was, in Tiffany, found insufficient to place an affirmative duty on the defendant to remediate. To hold otherwise would force defendants like eBay to shut down otherwise legitimate business merely because some portion of sales on its website were counterfeit.